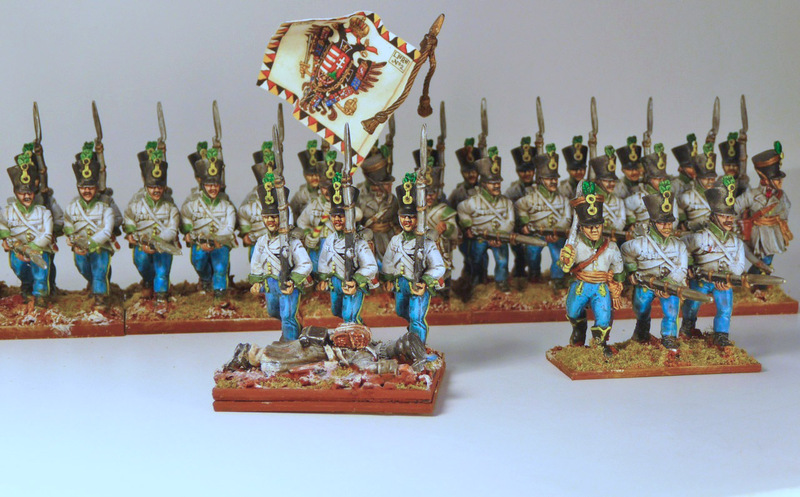 About 4 months ago, I bought 16 Hungarian infantry off ebay. 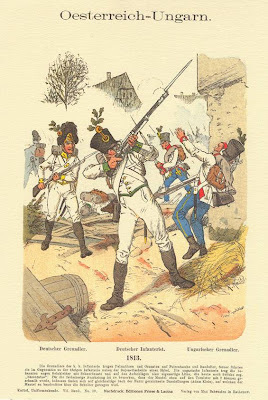 I am not sure of the painter's name, but I had bought a French infantry unit from him a couple of years ago because I really liked his painting style. The method I use now (white prime, thinned paints with dark wash) is based on what I learned from studying these figures. 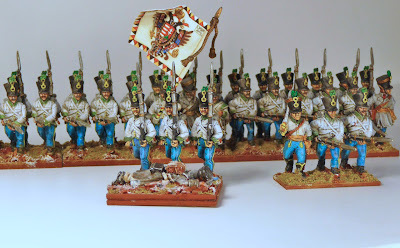 I had a plan to paint an Austrian Avant Garde Lasalle division, and needed some extra Hungarians (only had 24 figure battalion pack), so this seemed like a good opportunity to cut some painting time and get the unit done. The unit came with green facings and a low porte attack pose. 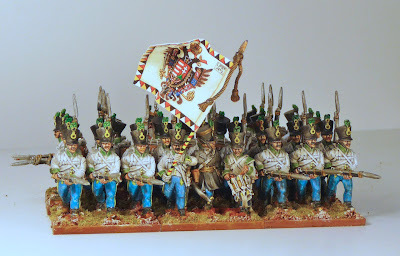 I am not wedded to painting specific battalions for my Avant Garde division, so that was ok with me as I had already painted a blue faced and had started a red faced German battalion. Red, blue and green, what more could you want! 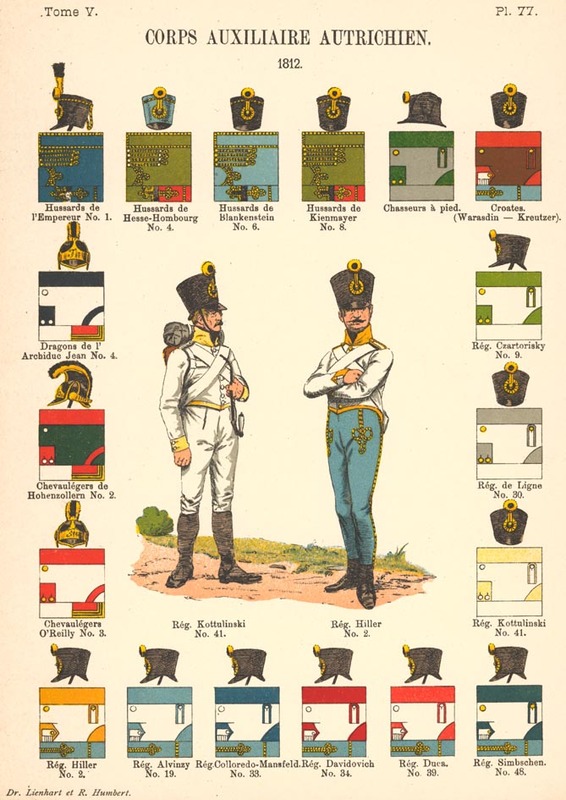 Green facings in a Hungarian infantry unit limited the choice to just 2 units, IR48 and IR62. Both had yellow buttons, I like yellow buttons. The specific facing colour is steel green. 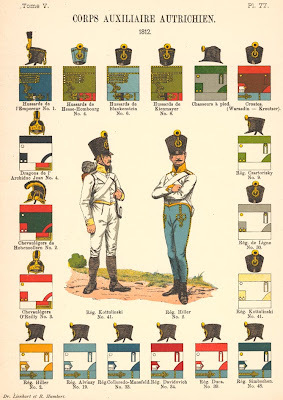 The Clash of Empires website has a colour guide to Austrian facing colours, I used GW Knarloc Green which I believe to be a little light, but so be it. IR48 was called Vukassovich up to 1809 and Simbschen after this. In line, great GMB flag. I painted 20 of the 36 figures all the rear rank as well as the officers on the right and left flanks. I alway make the left most base in my infantry battalions using two 40x20mm bases rather than one 40x40mm base. The rear rank is glued to the thin square base, but the front rank base is magnetised so it can be removed to mark casualties. You can see that I did a pretty good job of matching the style. The darkest Army Painter was used, a matt varnish was applied and the white areas were dry brushed to bring out the white again. The great problem with pointy bits sticking out from the base is that it is difficult to have a tight column of march. If you are using the Republic to Empire rules though this is fine as it is recommended that you leave a base sized gap between each base when figures are in column of march. Well that leaves just two more 36 figure infantry battalions, one 12 figure cavalry regiment and one horse cavalry gun to do and the Avant Garde division will be done. These are too nice not to have a comment. 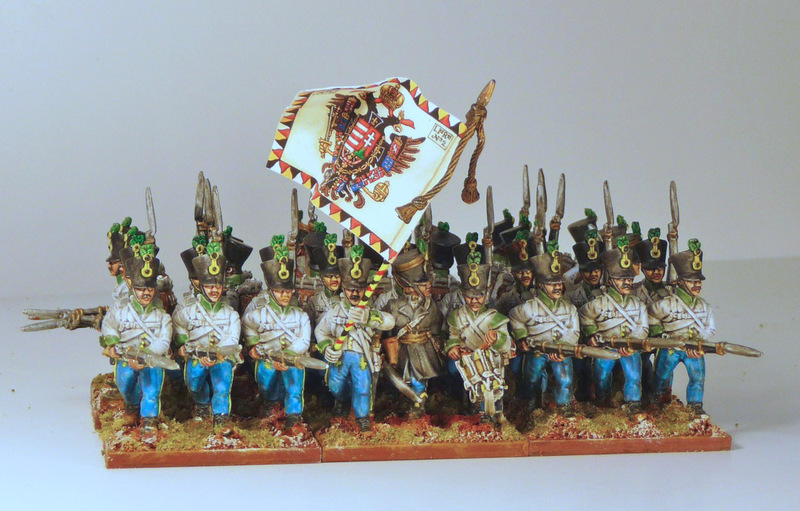 I have always liked the look of the hungarians with their fancy strides.